Download Restaurant Finder App PSD. If you are looking for Application which provide relant restaurant information, Find food places, Restaurant reviews and discover great new restaurants than this Restaurant App PSD is perfect for you . This mobile app ui kit psd has 6 screens psd set which can be use to design any Restaurant Finder application. The Restaurant Finder App PSD comes with all the required app screens and elements that fit for any web or mobile app. The Restaurant Mobile App PSD design looks fresh and clean user interface. 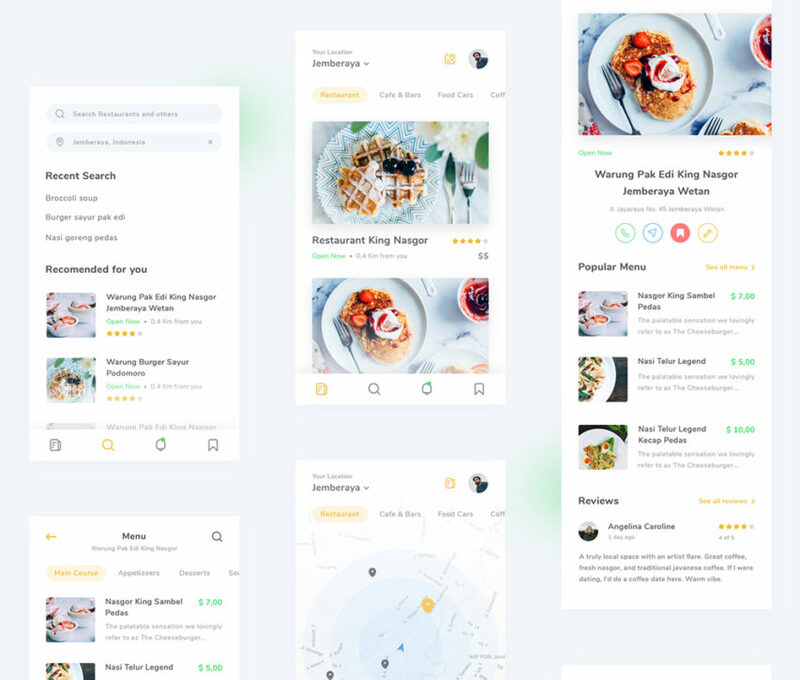 This Restaurant Finder App Free PSD is a good inspiration material if you need to create something for food chain restaurants or any type of similar online businesses. Hope you like it. Enjoy!